Last week, the U.S. Court of Appeals for the D.C. 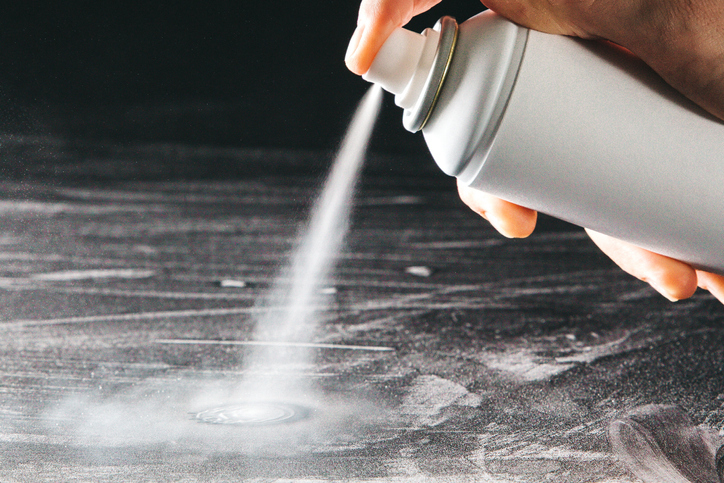 Circuit invalidated part of a 2016 EPA rule that made hydrofluorocarbons (HFCs) unacceptable for various uses in aerosols, automobile air conditioners, commercial refrigerators, and foams. In the waning years of the Obama presidency, EPA made an effort to combat climate change by enacting two rules restricting the use of HFCs, which are greenhouse gases. EPA claimed it had authority to do so under Title VI of the Clean Air Act. Section 612 of the Act requires the EPA administrator to promulgate rules banning the replacement of ozone-depleting substances with “any substance which the Administrator determines may present adverse effects to human health or the environment.” HFCs had, for a time, been considered suitable replacements. But concerns over climate change led EPA to attempt to mandate their replacement. Two HFC manufacturers, Mexichem Fluor, Inc. and Arkema Inc., challenged the first rule, which was issued in 2015. When the challenge reached the D.C. Circuit in 2017, the court held that EPA could ban future replacement of ozone-depleting substances with HFCs, but it could not require replacement of HFCs that had themselves been used to replace ozone-depleting substances. Otherwise, EPA would have perpetual authority to regulate substitutes, potentially requiring substitution every time a substance might be deemed harmful, even if the substance were not ozone-depleting. The court reasoned that Section 612 of the Act did not grant such broad authority, regardless of whether EPA might be correct about a substance’s potential for harm. The same manufacturers then brought a challenge against the second rule. Rather than seeking outright invalidation of the second rule, the manufacturers sought only the limited relief granted in their challenge of the first rule. The court noted at the outset that their prior holding on the merits was binding in the second challenge; the only question was whether a procedural issue mandated a different result. Three intervenors raised a timeliness challenge, arguing that the court had no jurisdiction because the manufacturers had waited too long to challenge the rule. But the manufacturers argued, and the court agreed, that the court had implicitly held it had jurisdiction in the prior challenge, and that holding was binding in the second challenge. Thus, the manufacturers managed to take advantage of one of the best-named procedural devices available under the federal rules: non-mutual offensive collateral estoppel, known more simply today as offensive issue preclusion. The end result is that where HFCs are currently in use, they may remain in use, but no ozone-depleting substances may be replaced with HFCs. If EPA wants to get rid of HFCs entirely, it will have to find a new source of legal authority. The case is Mexichem Fluor, Inc. v. EPA, No. 17-1024 (D.C. Cir. Apr. 5, 2019).